With so much buzz going on all over the internet over the what the Samsung Galaxy S10 will look like and how it will function, the exact or do I say the official feature and look isn’t yet revealed the general public. At least not yet. The device though will be a massive upgrade to the previous Galaxy S8 and S9. Based on all the stories and rumors we got through the internet, the Samsung Galaxy is expected to be true camera phone with numerous cameras all on it. Also, there is room for hardware and software improvements as rivals such as Huawei and Oppo are already having better gadget hardware which will certainly rival the Galaxy S10 if not done well next year. With that said, let’s examine all the suggestive specifications which we expect from the Korean top smartphone by 2019. As usual, the display is definitely going to be bigger than the previous. Our earlier post abut another leaked image showed there would be three Galaxy S10 devices with having different screen sizes to tell them apart while the largest being the Galaxy S10 Plus will feature a dual front lens all appearing as dots n the upper screen areas of the device. The fact that Samsung is quite adamant about using Notch on it’s smartphone makes us wonder how the device is going to look like especially with the so called infinity display. Being the Korean manufacturer’s flagship, it’s a really big deal for the company meaning there would be loads of features added to the device while it’s launched next year. We expect the Samsung Galaxy S10 to have various features ranging from advanced face unlock sensors to on-screen fingerprint sensor just as seen on the Vivo smartphone. While the device’s screen is likely to get wider and advanced display, we expect features such as 5G connectivity. With a better audio system and advanced display, the device could also feature larger storage and faster CPU and advanced GPU and considering the fact that Samsung is a master in all these, we wouldn’t be really expecting anything less. February 25, 2019. 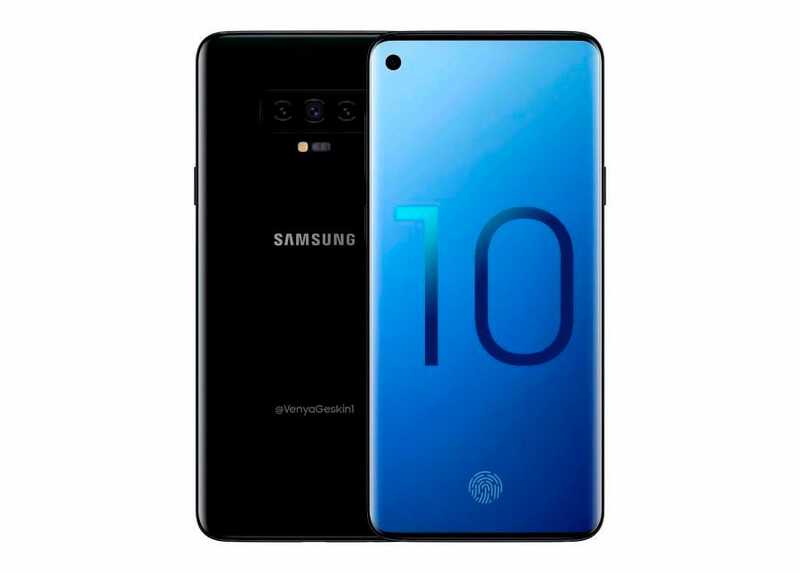 We hope that would be the release date despite the fact that we have no official statement yet about the actual date the new Galaxy S10 will be launched, we can assume based on the previous releases made by the company. For example, the older Samsung Galaxy S9 was launched that same date Feb 25th, 2018 during the Mobile World Congress (MWC) while the Galaxy S8 was launched in New York on the 29th of March 2017. According to sources inside a major technology retailer speaking to Gizmodo, the Galaxy S10 will be launched at an event on February 20, 2019. And considering the fact that Samsung uses the MWC to unveil it’s flagships, we might expect the Galaxy S10 to also be launched just around the same period. We even have reports on the web stating that the pre-order of the device will start immediately after the keynote delivery while the exact release date is assumed to be Friday March 8, 2019. Although an earlier report suggested the Galaxy S10 will launch at CES in Las Vegas, which will be held January 8 – 11 2019, we’re taking that particular rumour with a healthy pinch of salt, and this is why. WHAT WILL SAMSUNG GALAXY S10 BE CALLED? Just as we likely saw Apple did with the iPhone X, something like that could happen with the Galaxy S10 considering the fact that X = 10 in a roman numeral but the fact that the Galaxy Foldable device is rumored to already have that name already glued to it, we don’t precisely know what the next Galaxy S will be actually called but it’s a Galaxy S10 anyway. We expect that there would be 3 different types of the Galaxy S10. Each of these devices will of course have different features ranging from big to small. 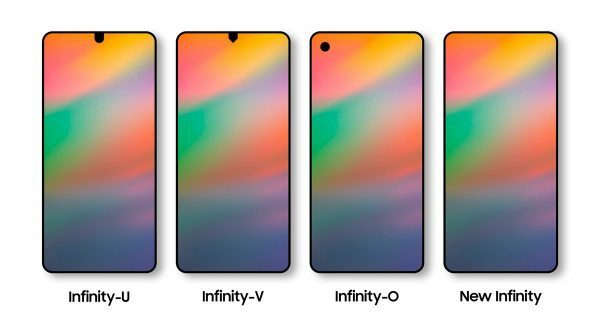 So the device ranges are said to range from features and differences which will feature at least three models, codenamed “Beyond 0”, “Beyond 1”, and “Beyond 2”. While certification documents that were issued by the Chinese CMIIT body confirms the administrative agency inspected three separate smartphones which are said to be built by Samsung. These handsets appear to have all the hallmarks of the upcoming S10. The model numbers are listed as SM-G9700, SM-G9730 and SM-G9750, which seem to the logical follow-up to the model numbers of the Galaxy S9 models, which were SM-G9600 and SM-G9650. The latter will be available in LTE and 5G compatible versions, the documents reveal. As well as screen size and type, how the different S10 phones are specced internally also varies, with some S10 features (see below for details) exclusive to the top tiers. The Galaxy A7 released later this year had 4 cameras making it a real camera phone. But the move for multitple cameras isn’t new with Huawei already implementing multiple cameras on it’s devices such as the Huawei Mate 20 Pro. With the leaked casing images gotten from Twitter, the Galaxy S10 could possibly have 4 cameras while the S10 Plus would have 5 cameras with the inclusion of dual front facing lenses. According to the latest leaked S10 camera specs, the shooter on the flagship Galaxy range will include the same 12MP f/1.5-2.4 variable aperture lens that debuted on the Galaxy S9 paired with a super-wide angle 123-degree lens with 16MP sensor and f/1.9 aperture. Finally, Samsung will also purportedly include a 13MP f/2.4 aperture sensor. These rumours of extra cameras are also seemingly backed up by phone industry analysts, with KBI Securities is claiming. Kim Dong-won says that Samsung plans to “reinvigorate” its business by adding a triple lens camera to the Galaxy S10. As for other features, it’s tricky to know what else Samsung could add to the existing S9 formula. We know that a foldable Samsung phone is in the works, but this is likely to be separate to the main Galaxy S line, with the foldable securely lodged in the top 5 foldable phones to expect in 2019. Samsung has steadily increased the price of its flagship Galaxy S handset each year and – barring a massive economic downturn or sudden consumer demand for ridiculously expensive new technology – we expect this year to be no different in that respect. The rising price tag of the Galaxy S series could explain why the South Korean company has decided to add its new “Beyond 0” lower-cost variant. Since this is a flagship device, we expect the price range to be as expensive although the precision isn’t yet accurate. While Android devices won’t likely be as pricey as iPhone devices such as the iPhone X, we expect the Galaxy S10 to be in the range of $700 for it’s starting prices could be as high as $650 upward. While Huawei is trying to offer premium devices for even lesser prices, Samsung’s competiton might be sever next year while the Honor brand hopes to release it’s own full screen Honor View 20 which would be quite cheaper than Galaxy S10. With feature variants, we can say that Galaxy S10 is a device worth the dollar.